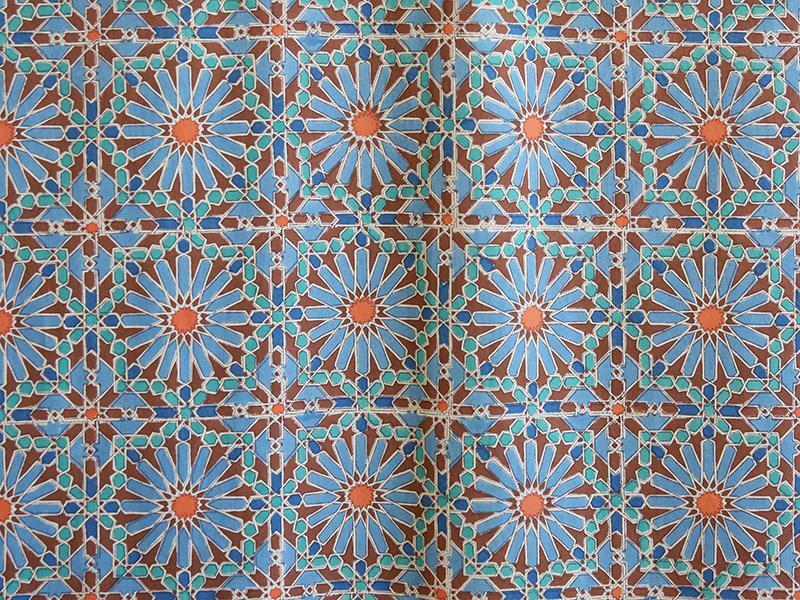 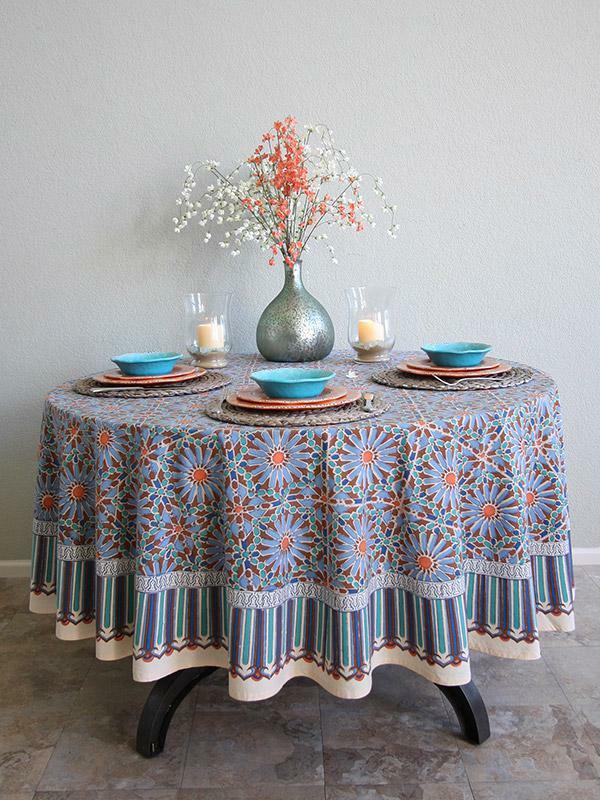 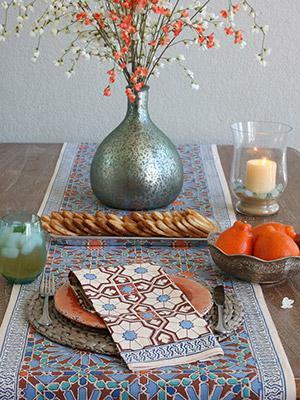 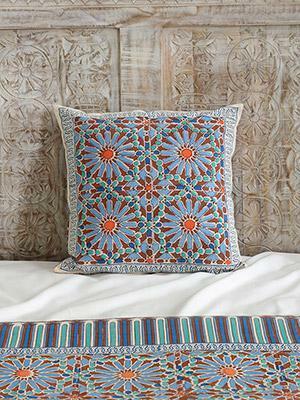 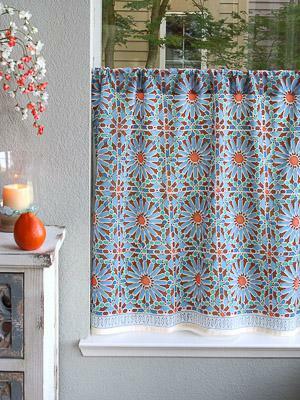 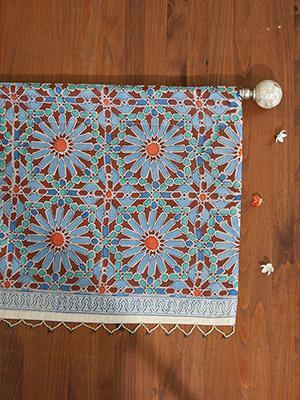 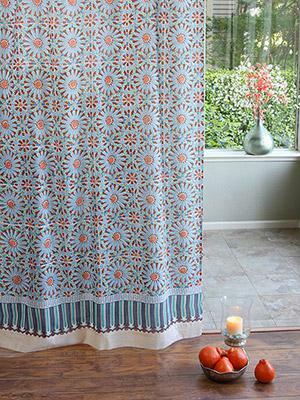 An intricate Moroccan tile print, consisting of cyan blue star burst motifs, set in pieces of chocolate tile, with accents of french blue, peacock green and apricot. 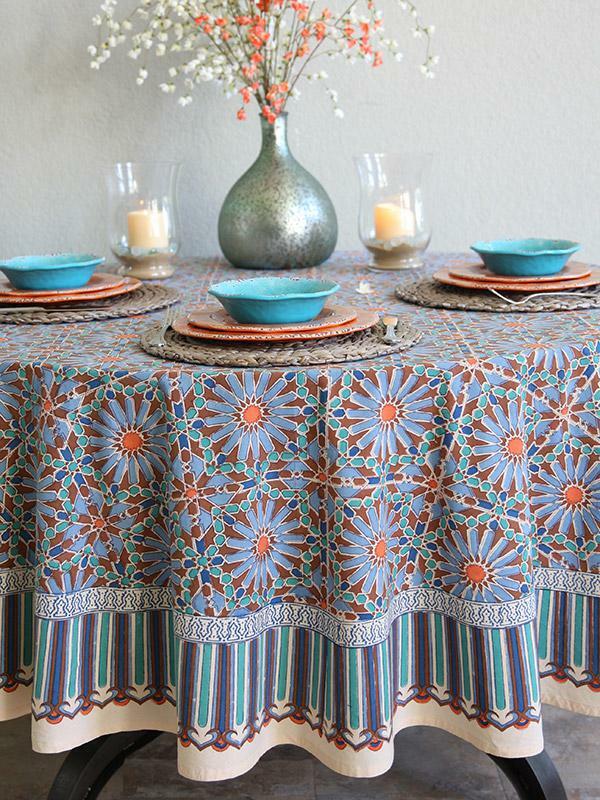 Smooth the soft cotton of this artisan made cloth across your table, and you’ll find yourself dreaming of all the glamour of Morocco. 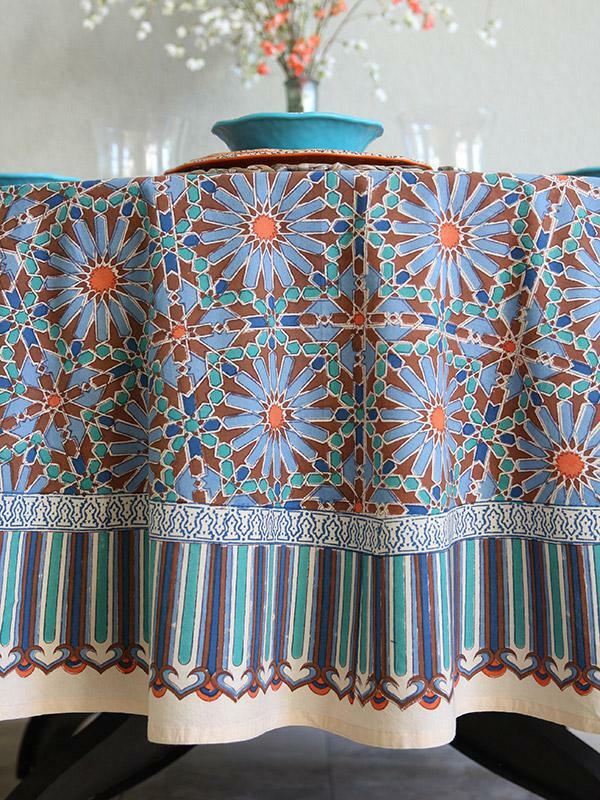 Dinner atop this brilliant beauty will be a truly exotic affair when you ... [ read more ] serve dinner in a Tagine, and plate it on glazed ceramic tableware in chocolate, turquoise or melon.